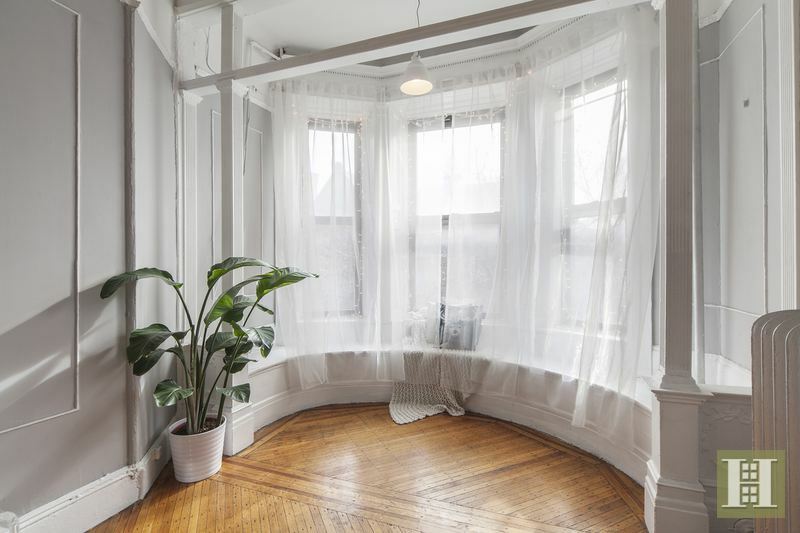 There really is something dreamy about the interior of this Bed-Stuy home at 231 Decatur Street. 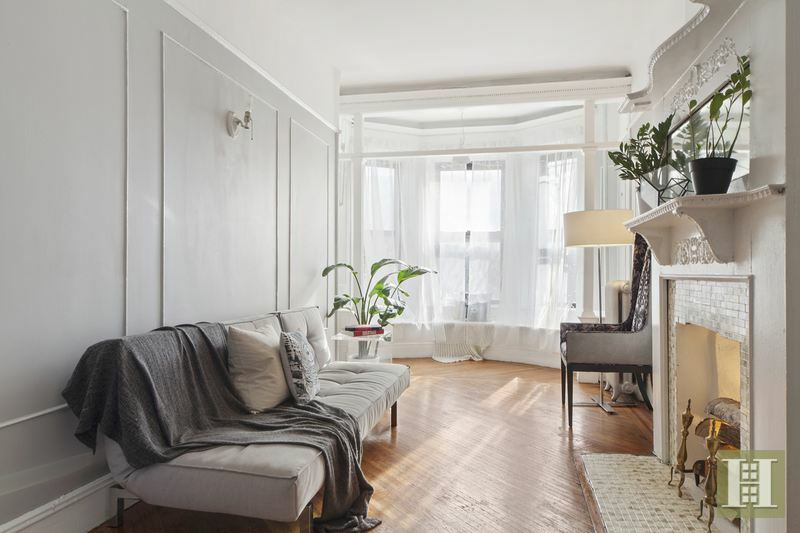 From the outside, it looks like a well-kept, historic townhouse — prominent Brooklyn architects Axel Hedman and Eli Bishop designed this barrel-front, Renaissance Revival-style brownstone in 1897. 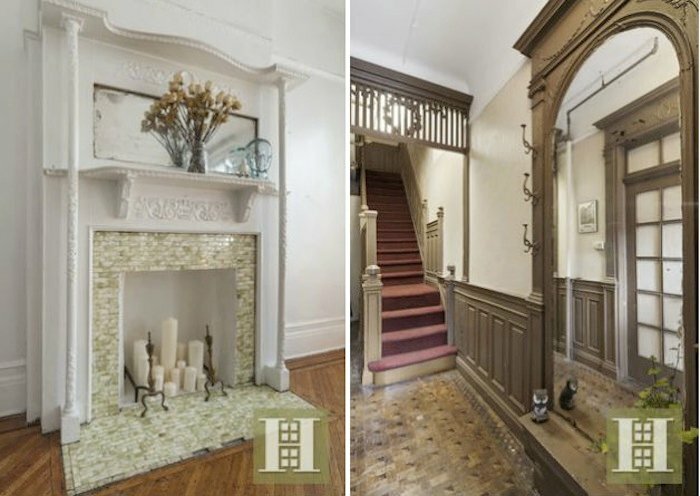 The interior is chock full of historic detailing, too, like intricate mantels and woodwork, decorative fireplaces and stained-glass windows. 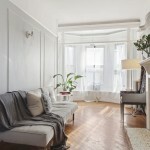 The design, very bright and white, compliments those old details well, and gives the spaces an ethereal feel. 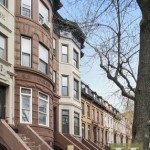 If we could pick any Brooklyn brownstone to show up in our dreams, this would be the one. Although this looks like a grand single-family property, it’s actually split into three rental units that are now occupied. 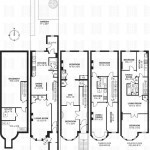 The garden and parlor floors are configured as a three-bedroom duplex and come with access to the garden and cellar. 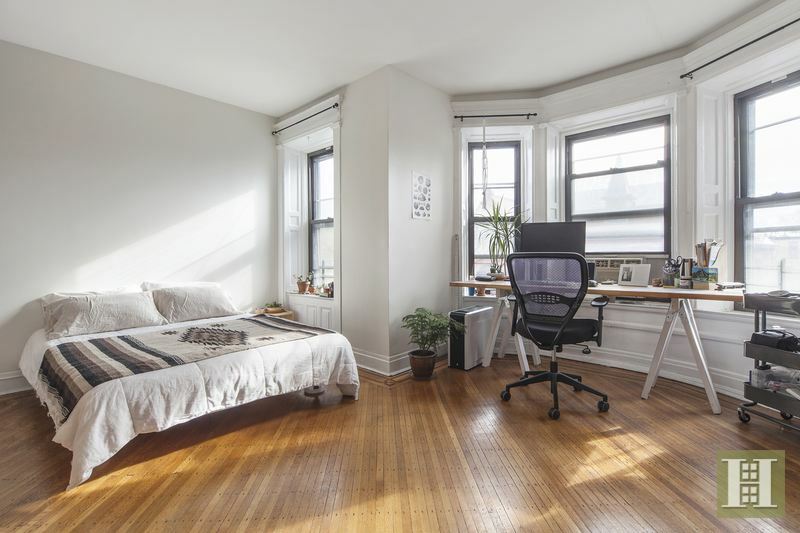 The next floor up is a one-and-a-half bedroom apartment that, according to the listing, has a lovely built-in seating area under the bay window. The top floor holds a two-bedroom apartment. 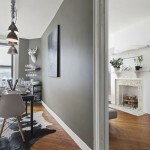 Throughout the units are details like high ceilings and arched doorways, parquet floors, french doors and moldings. We particularly love the barreled bay windows on each floor, which make everything look more dramatic. Even more details to drool over. 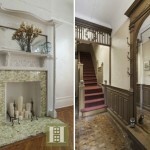 The building’s main hallway has a staircase with a hand-carved bannister as well as wood wainscotting with a built-in mirror and coat hanger. And finally, a few shots of the bedrooms from the rental apartments. 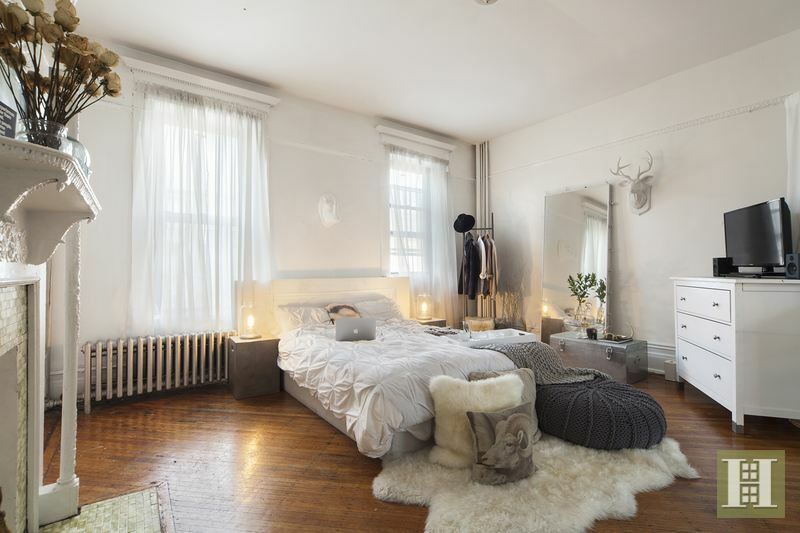 Who knew that a furry rug would look so good with parquet floors and a tiled, decorative fireplace? 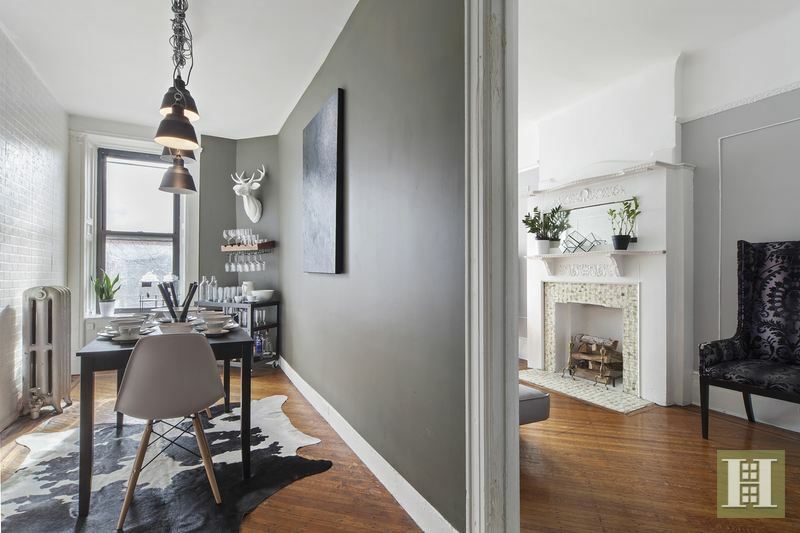 This home is located in Stuyvesant Heights, an enclave of Bed-Stuy that’s known for its incredible townhouse properties. This one at 231 Decatur, even though it’s been split up into rental units, definitely isn’t an exception.